Do you have any unique Walt Disney World photo traditions? Sure, everyone has to have their pic taken in front of Cinderella's castle, but where else do you get snap happy? This Magical Monday I'd like to share a fun photo tradition that's become a game for us. It all started with a mouse random candid shot of my hubby on our honeymoon nearly 15 years ago. My Mr. is a drinking fountain connoisseur. 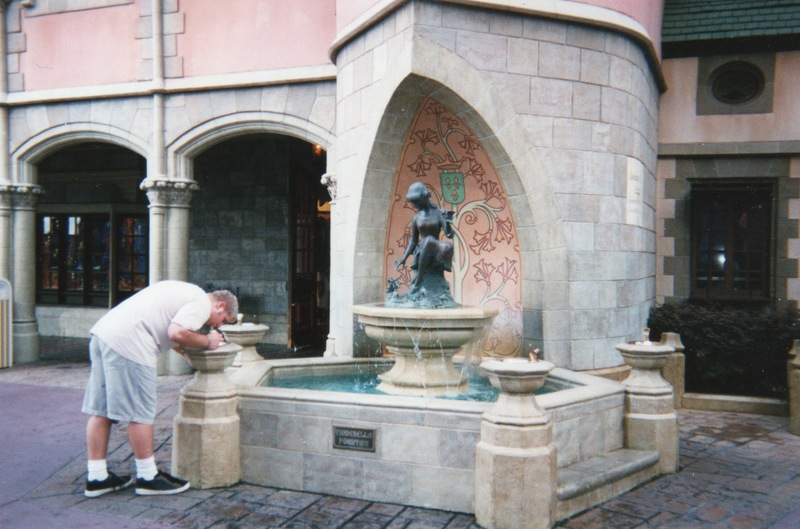 During our honeymoon I took a pic of him critiquing sipping at Cinderella's fountain in Fantasyland. When he stopped at the same spot during the next trip, I remembered the previous photo and took another. It became a bit of a sport. He always drinks from this fountain just once during our vacation, and I try to snap the photo. We don't discuss it. He doesn't pose or linger at that free flowing water longer than any average drinking fountain sip. I have to catch it at that moment. I've been successful during 4 of our 6 trips together. Whenever I get the shot I cheer! When I miss it, I'm totally bummed ...but that's the fun of it! 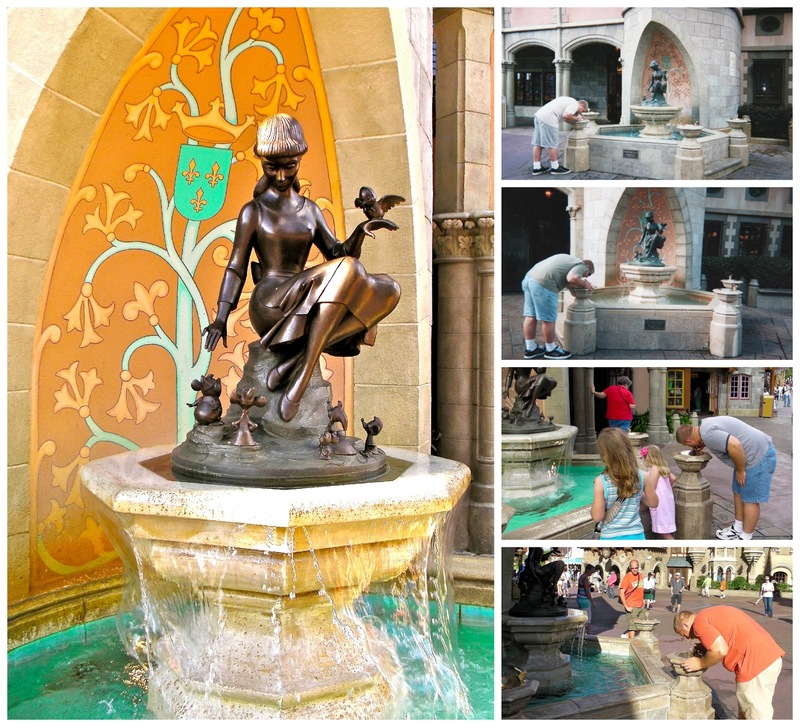 Do you have any fun Disney photo traditions? I'd love to hear about them! If you haven't started one yet, watch for the perfect opportunity during your next trip. 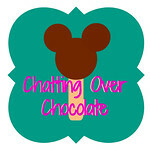 Fun and memories are just a click away! What a fun tradition! Gotta be on your toes to make sure you get the picture. Good luck this fall, hope you get it. Each trip we've taken with our girls I've snapped a photo of them in front of the Carousel of Progress sign. They used to always put up a plaque with the year on it. It was so fun to have that from each trip, with the year listed, and see their heights. Sadly during our last vacation, there was no year plaque. We still took the photo, but it wasn't quite the same.